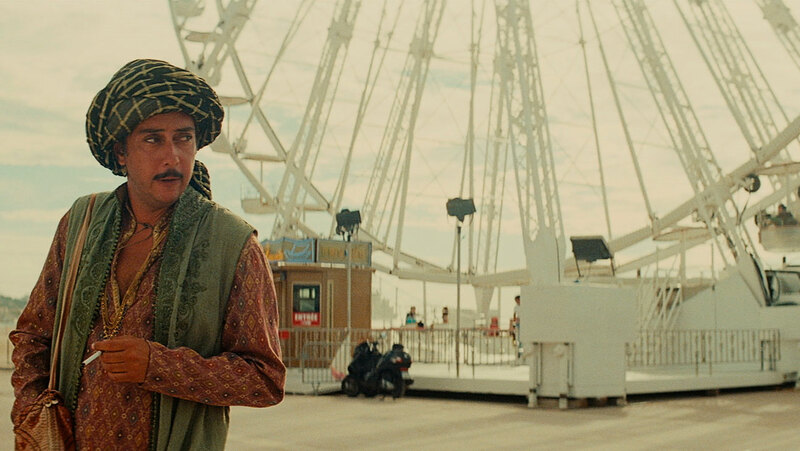 It's difficult to judge Miguel Gomes' Arabian Nights as separate films, especially its first entry, Volume 1, The Restless One, because it's really just the first part of a much larger whole. Easily Gomes' largest canvas to date, the Arabian Nights trilogy is an ambitious, sprawling work that confronts the Portuguese austerity measures that resulted from the global recession, and plunged much of the country into poverty. Gomes takes the structure of the ancient tale of Scheherazade and re-purposes it into something adventurous and new. 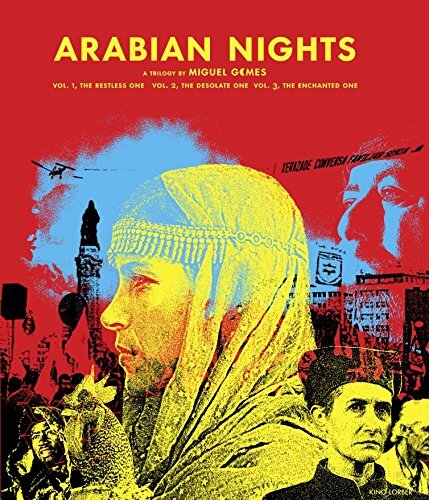 Utilizing documentary techniques, Brechtian alienation techniques, and surreal metaphorical flourishes, Arabian Nights: Volume 1, The Restless One weaves an immersive, humorous, and often angry portrait of a nation at a specific point in time whose corrupt leaders have lead them into poverty and ruin. Taken on its own, it often feels aimless and scattershot, but when viewed as part of a larger whole, it's spectacular - a wholly unique work of artistic activism. There's really nothing else like it. The second volume in the trilogy, The Desolate One, stands on its own much better than The Restless One. Here, Gomes continues to explore the desolation of Portugal at the hands of government austerity measures through a series of stories as told to the king by Scheherazade, but the results are more streamlined and memorable here. The vignettes are longer, allowing them to establish themselves in deeper ways, and more focused on narrative, rather than switching back and forth between fiction and documentary. While the effect was often exhilarating in The Restless One, The Desolate One goes deeper. In one engrossing sequence, a judge tries to get to the bottom of what seems like a simple crime, only to uncover a trail of corruption and misdeeds (some of which involve a genie and a talking cow) so wide-reaching that it causes her to break down in despair. It is perhaps the finest sequence in the entire trilogy, exposing the complexities of the Portuguese economic crisis for which everyone and no one is to blame. The film culminates with the tale of a dog, transferred from master to master, loving each in turn as if the previous owners never existed. Here, Gomes explores the passage of time in such a poignant way, using magical realism to blend fantasy with the cold, realities facing Portugal today. This is where Arabian Nights really comes into its own - bracing, angry, hilarious, moving, and above all, highly original. 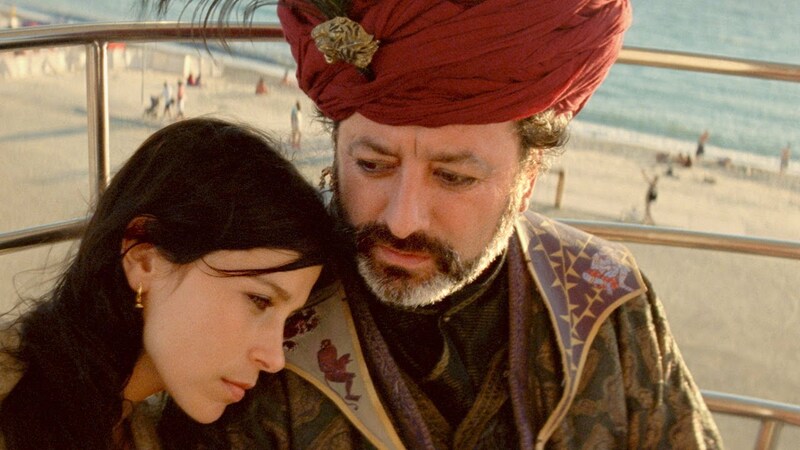 As a whole, Arabian Nights is a fascinating piece of cinema, but its third and final installment, The Enchanted One, goes off the rails in comparison to the previous two films. Here, Gomes abandons the structure of the work up until now, and introduces Scheherazade as an actual character, caught between modern day and antiquity. Her stories here focus more on documentary style, in this case relating the tale of a group of bird-catchers who spend their time catching chaffinches. This is where The Enchanted One misses the mark - its focus on the chaffinches is strangely un-involving and unfocused (especially strange given how riveting sequences of The Desolate One were. Arabian Nights ends with a whimper rather than a bang, seemingly losing sight of its own righteous indignation at the injustices facing the people of Portugal after its economic crisis. Taken as a whole, it's a tremendous work, but it doesn't quite stick the landing in its final installment. All three films are now available on a 3-disc Blu-Ray and DVD set from Kino Lorber.